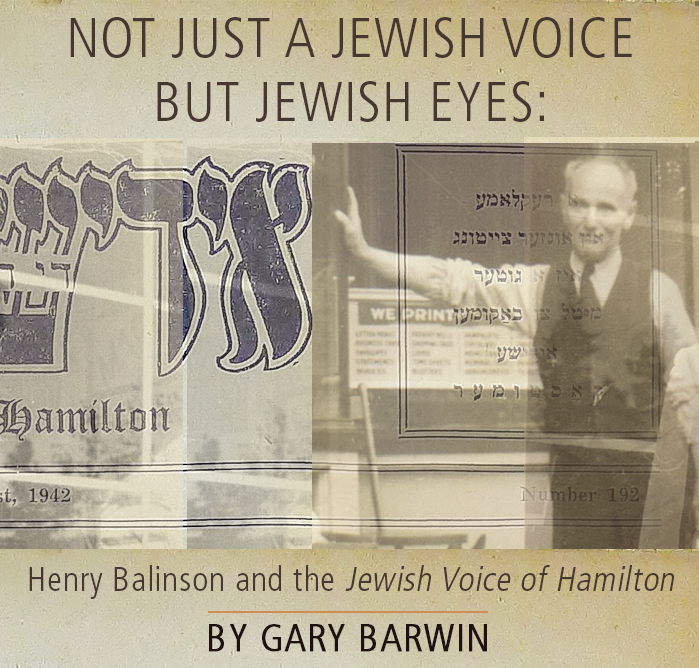 This is a story about the Jewish Voice of Hamilton, the Yiddish language newspaper that was published in Hamilton in the 30s and 40s. It’s also the story of its publisher and editor, Henry Balinson. But it’s more than that. It is the story of how immigrants—Jews specifically—contributed to Hamilton and all of Canada by bringing with them their own culture, perspective, skills, language, learning, and values. What seems like years ago, Stephen Harper (“Make Canada great again”) used the regressive phrase, “an old stock Canadian”—I don’t know what that meant unless it referred to the indigenous people—but modern Canada would be a pretty watery broth without immigrants. And Henry Balinson was the same as every immigrant: like everyone else, but uniquely himself.